This is a language game that can be used to practise many different sentence constructions. A child can win one piece for every speech target attempted. 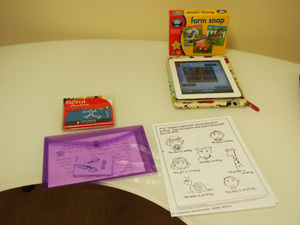 This shows the use of the Speech Journal App on an iPad.I use this to record a child’s speech and to play back their voice. The file can also be saved and emailed home to parents to share with other members of the extended family such as Granny and Grandad. Do you work with individual children or do you work with more than one child at a time? Therapy sessions are usually given on an individual basis unless it is beneficial to the child to share the activities with a peer. Sometimes parents may ask for their child to be considered for a shared session in order to share the costs of speech and language therapy. 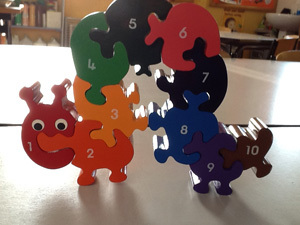 I am happy to arrange this if there is another child who has a similar difficulty and who is a similar age. Children who have pragmatic language or social thinking difficulties will usually attend in a group but may also be considered for individual sessions with the close involvement of parents and/or teachers. Each session is one hour and includes up to 45 minutes of direct therapy time with your child. The remaining time is allocated to the preparation of your child’s individual lesson and the writing of a handwritten sheet of notes which is sent home and/or to school. Do I need to be present with my child at his/her speech and language therapy session? OSome parents have work commitments and cannot attend their child’s speech and language therapy session. In these cases an appointment is made for your child at their nursery or school. Sometimes a school will provide a teaching assistant who will attend your child’s session so that the teaching staff can learn how to support your child’s speech and language needs. Parents are encouraged to attend their child’s session so that they can learn how to help their child improve their speech and/or language skills. 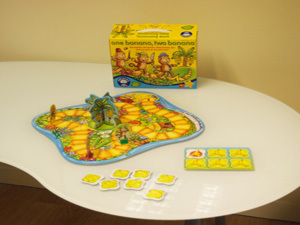 The therapist will demonstrate a task so that parents will be able to duplicate the activity at home. Will my child enjoy therapy? Yes. I plan the therapy sessions so that each task is based on a game and generally for the younger child, they do not realise that they are working! When a child is slightly older, they may be more aware of their difficulties and know why they attend for therapy. The tasks remain fun but have a work ethic attached to them with lots of positive feedback for effort as well as for success. A child needs to enjoy their sessions but also they need to trust the therapist to help them when they find things a bit tricky. Parents usually tell me that their child says that they will be able to do it when they see Mrs Roder. Some children refer to me as Jenny and others take the American model and call me Miss Jenny. What does the price per session include? Although the session period is 45 minutes, the actual time that the price per session includes is one and a half hours. 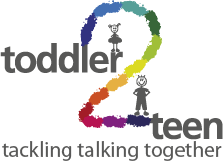 Therapy is tailor-made to your child's unique speech and language profile. Creating the idea for your child's therapy, making and producing resources and selecting appropriate equipment is an important and time-consuming process. Also included in this time is the recording of your child's progress in the therapist's notes and for school visits, the production of session notes to send home. How can I find out the costs of sessions? Please ring and speak to me, Jenny Roder, so that I can explain the different options and the costs involved. Ring 07712286261.